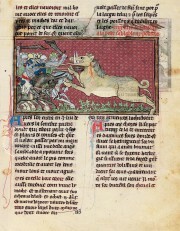 Considered a masterpiece of the Flemish miniature. 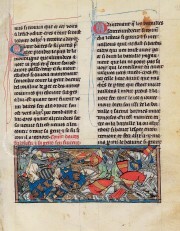 Miniscule Gothic script in two columns. 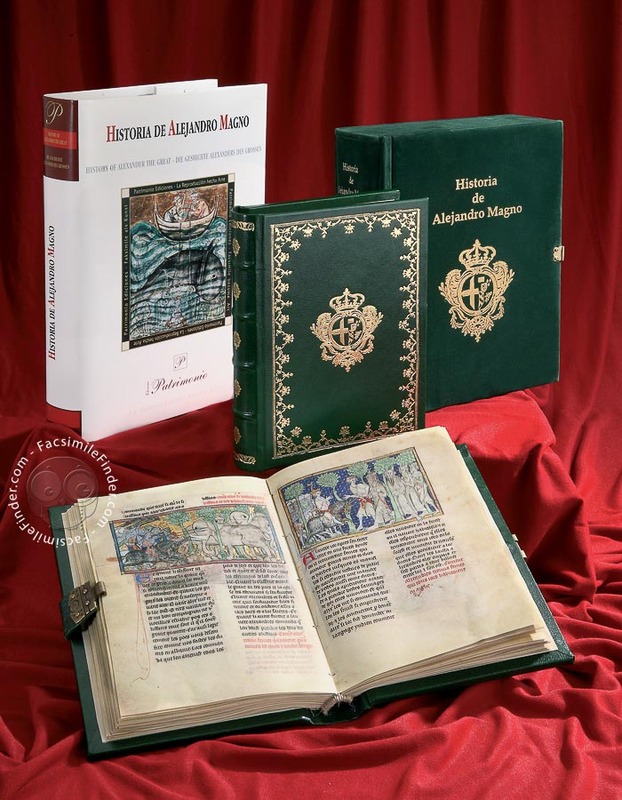 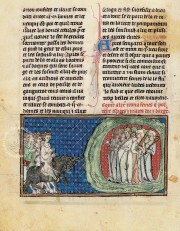 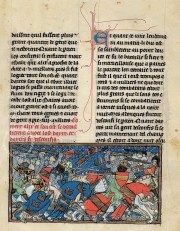 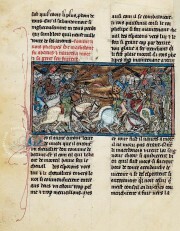 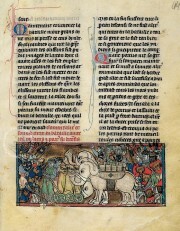 The codex is the oldest and most luxurious of the many copies that survive. 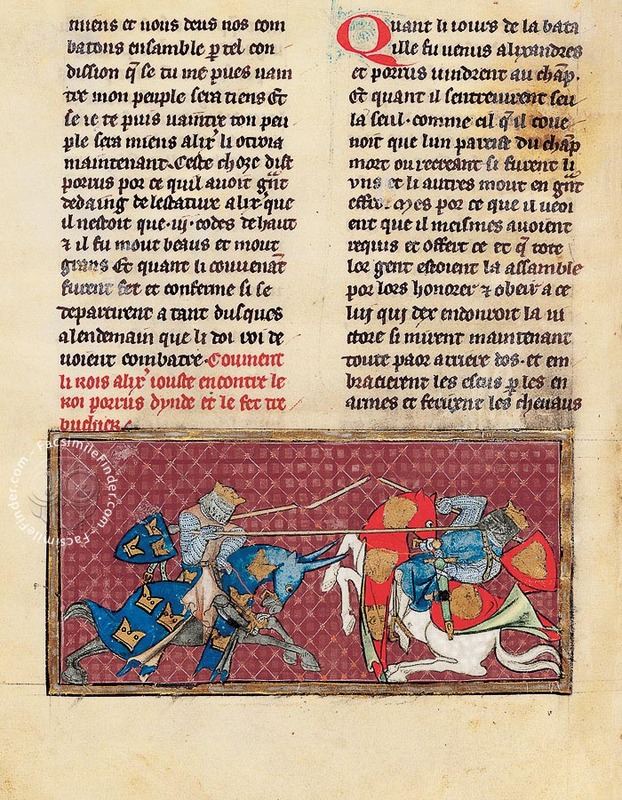 Alexander the Great, the most esteemed flesh-and-blood hero of Greek history, conquered the world at the height of his youth. 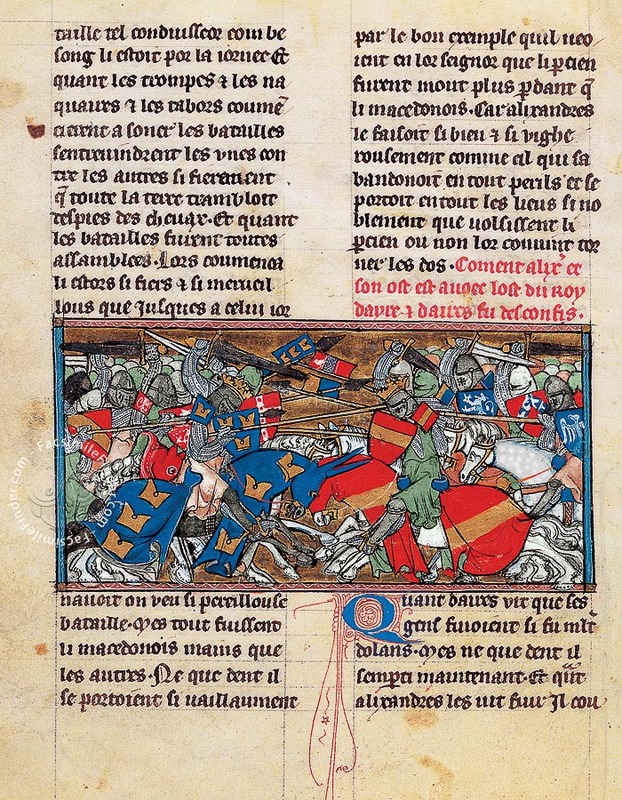 His exceptional military talent, ambition, audacity, bravery, and charisma were used as models by Caesar and by subsequent emperors, kings, and princes up to the present day. 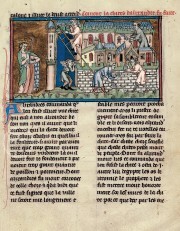 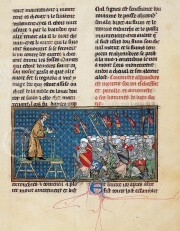 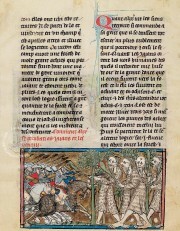 Proof of this are the numerous manuscripts commissioned for royal libraries that relate his biography. 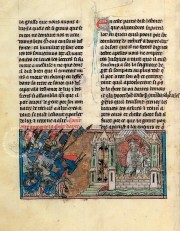 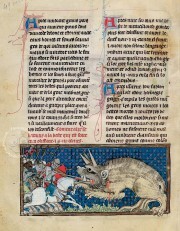 This work held pride of place in the library of Isabel the Catholic. 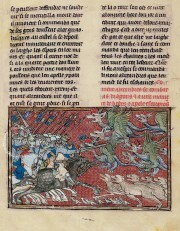 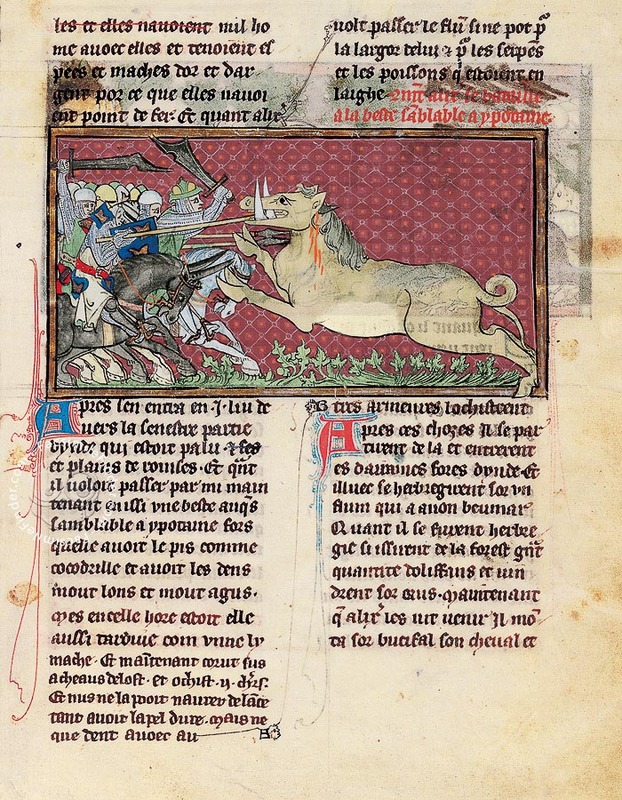 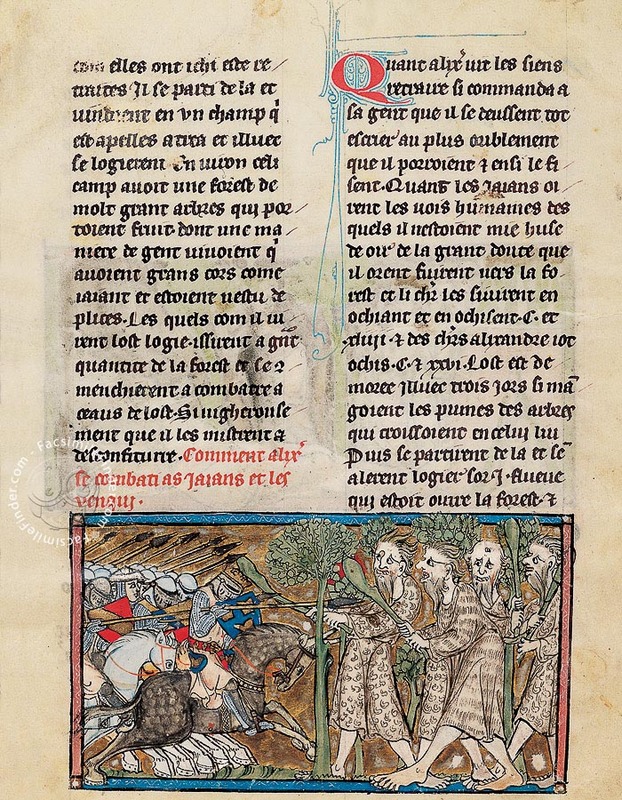 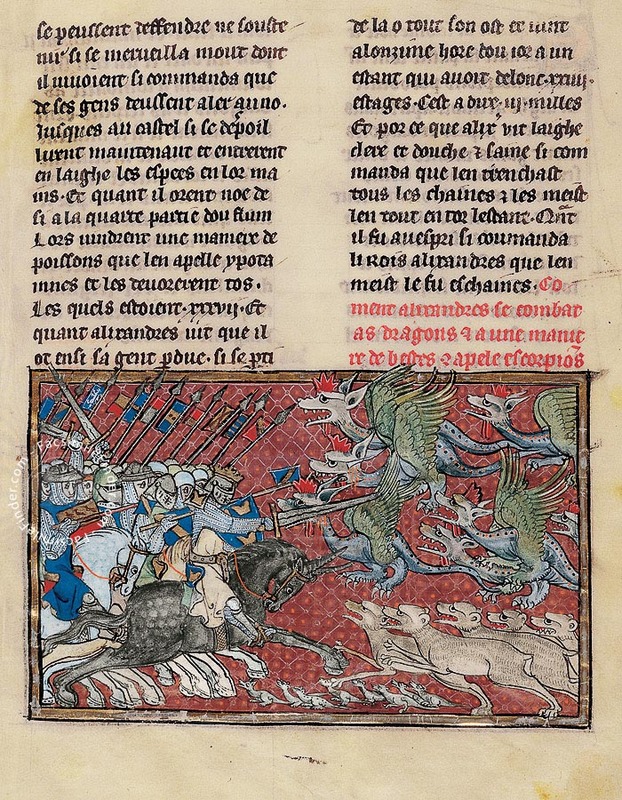 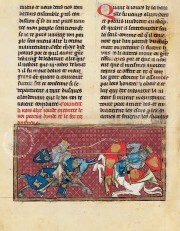 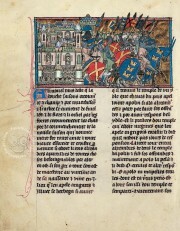 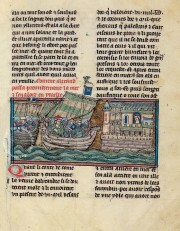 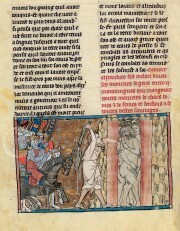 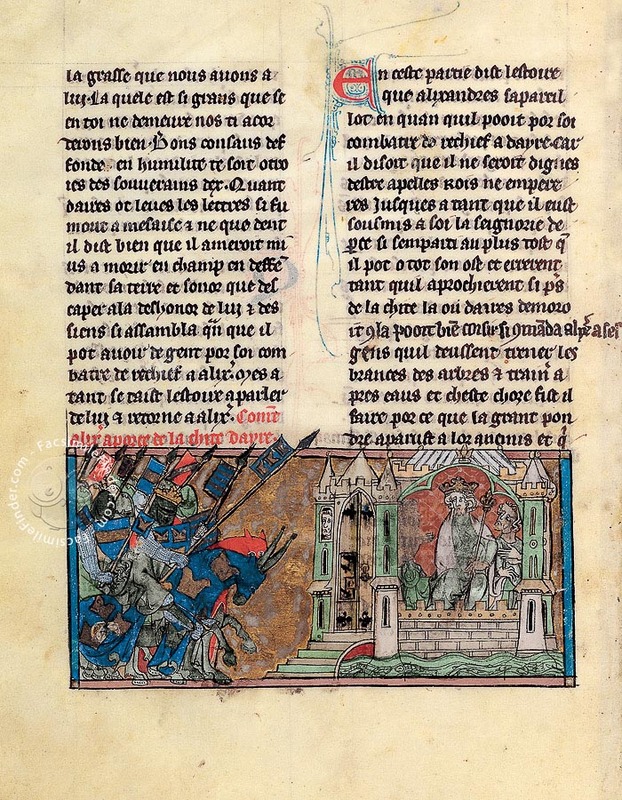 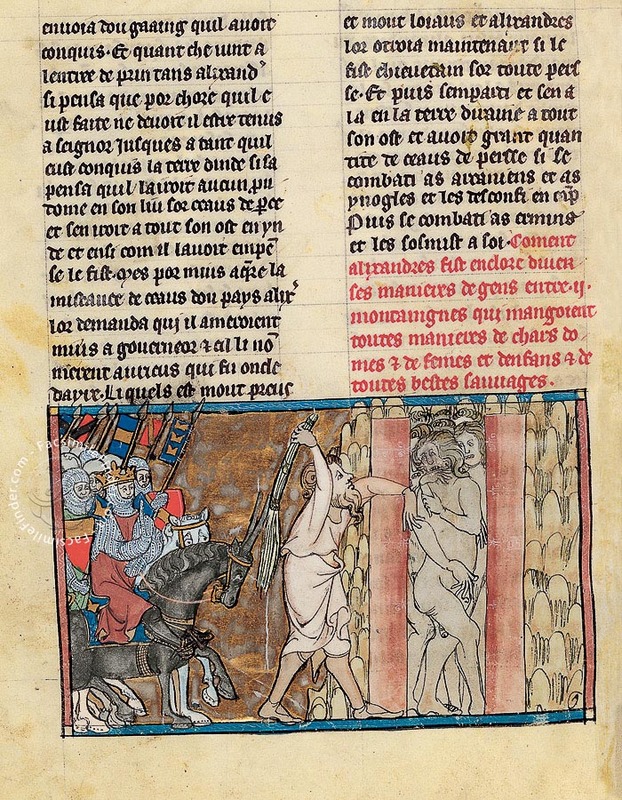 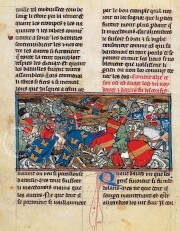 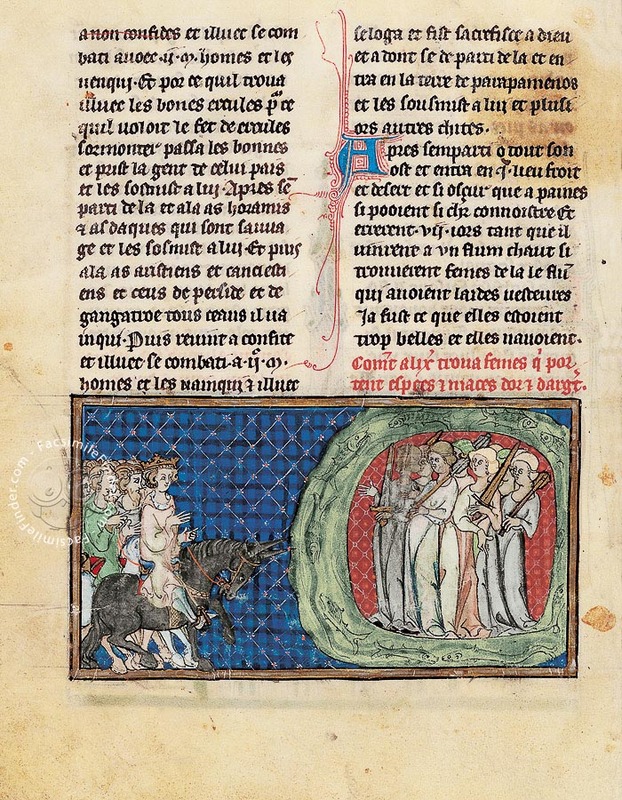 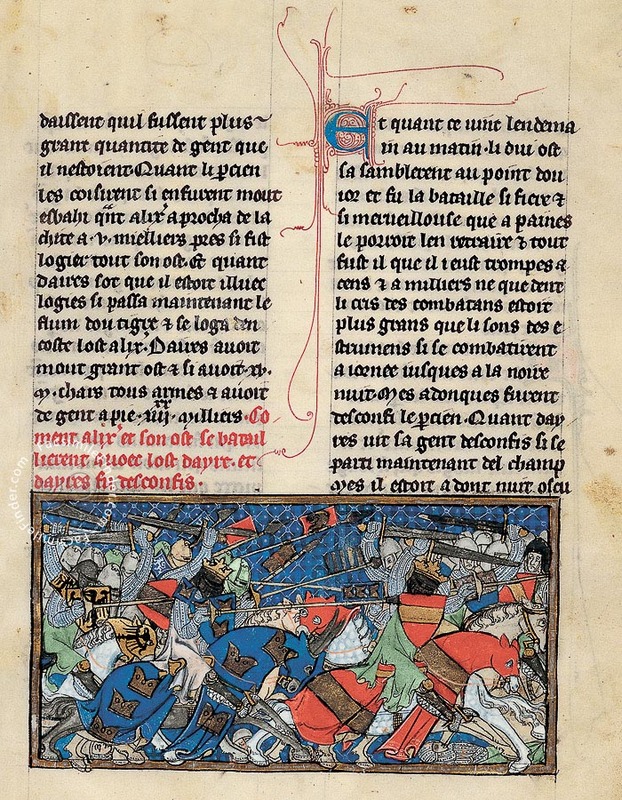 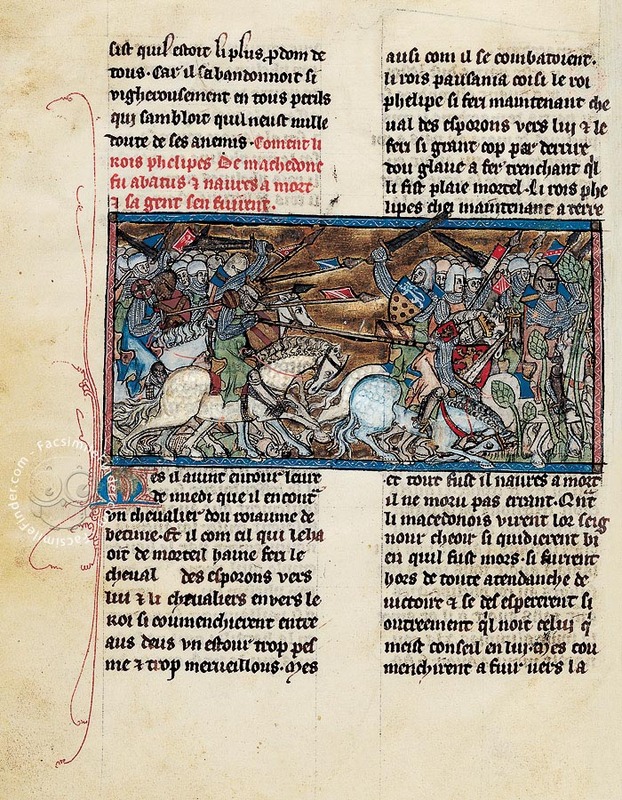 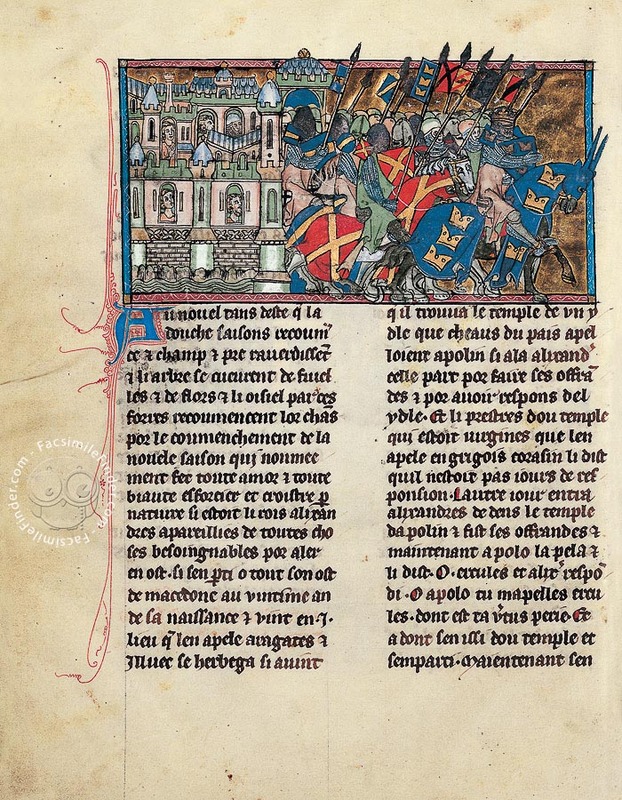 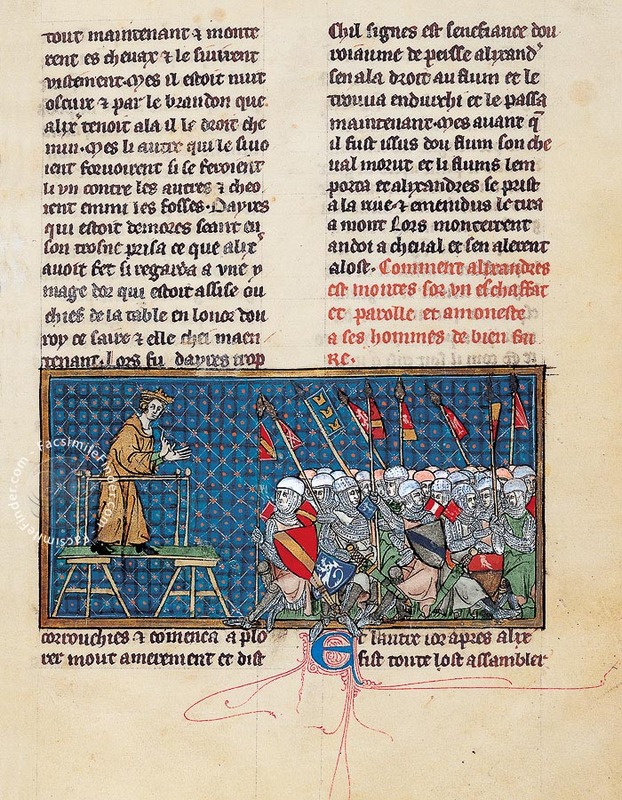 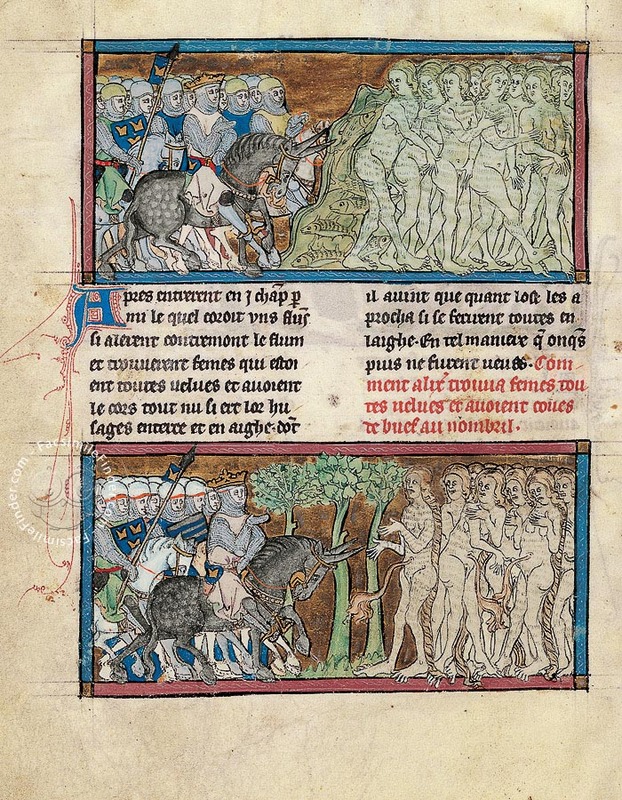 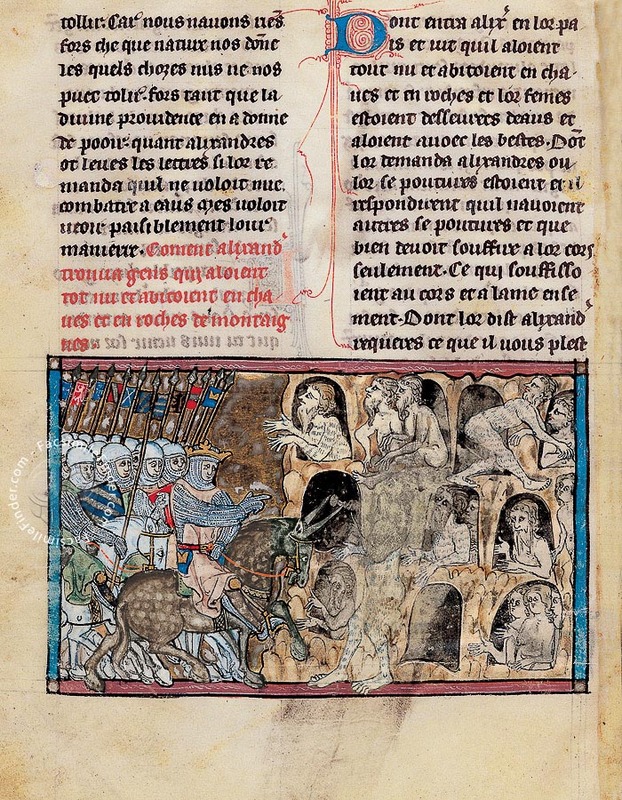 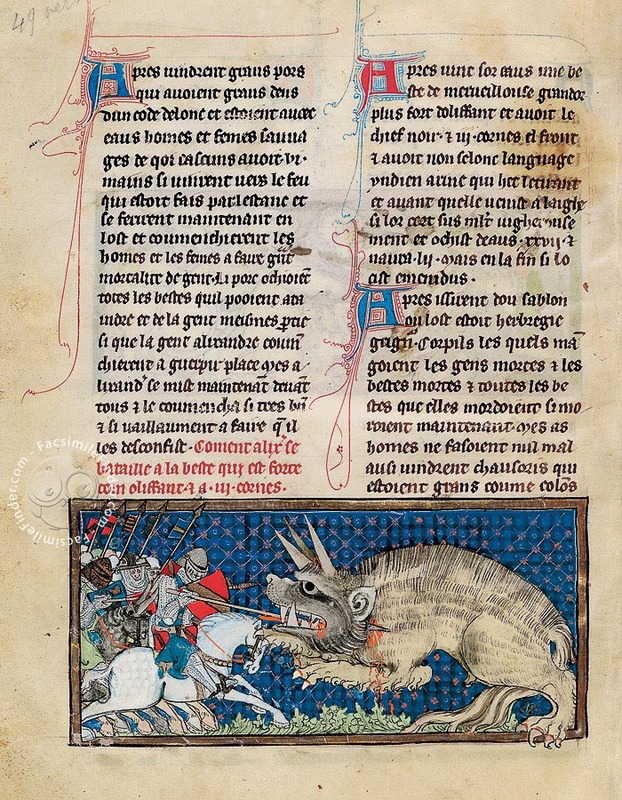 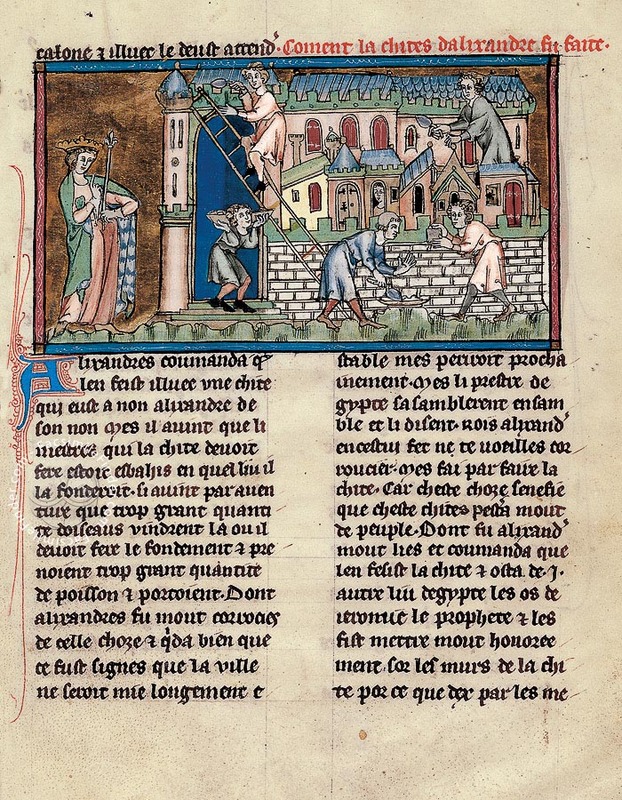 The story of Alexander the Great, in Old French prose, takes as its model the narrative text of Preliis-a battle history-written in the 10th century by Archbishop Leo of Naples. 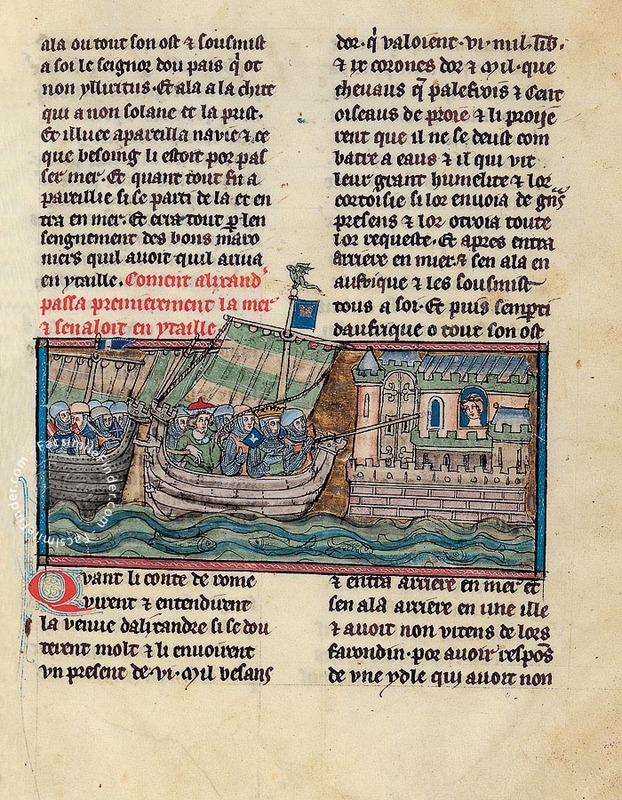 In addition to narrating historic events, its content has evolved into a novel of adventure with descriptions of exotic voyages and legends that reflect the spirit of medieval feudal society, being the most read after the Bible. 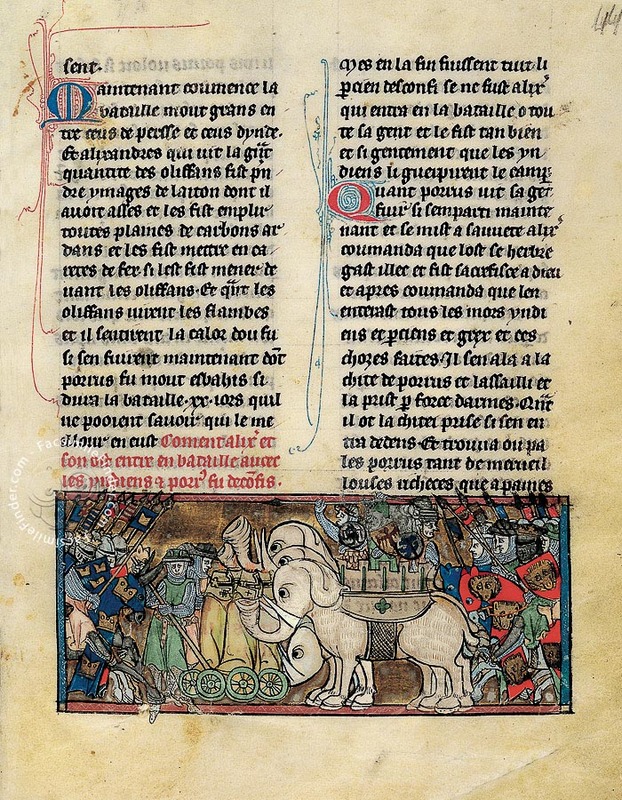 In Orient Alexander the Great, called Iskandar, was considered to be the winner of the Persians and a great benefactor king. 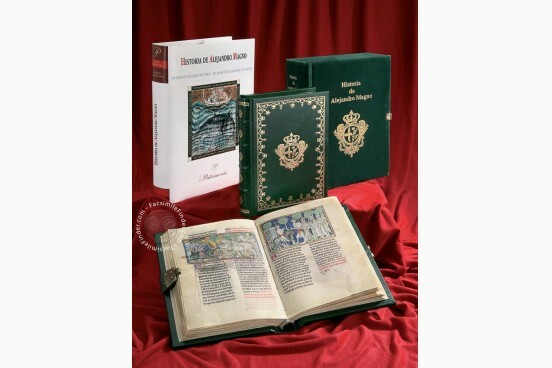 The 12th century Persian sources even recognize him as a prophet and represented his heroic deeds in beautiful illustrations. 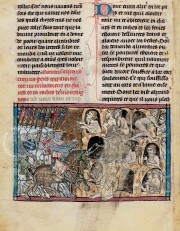 Manuscript book on parchment − 24 × 18 cm − 180 pp. 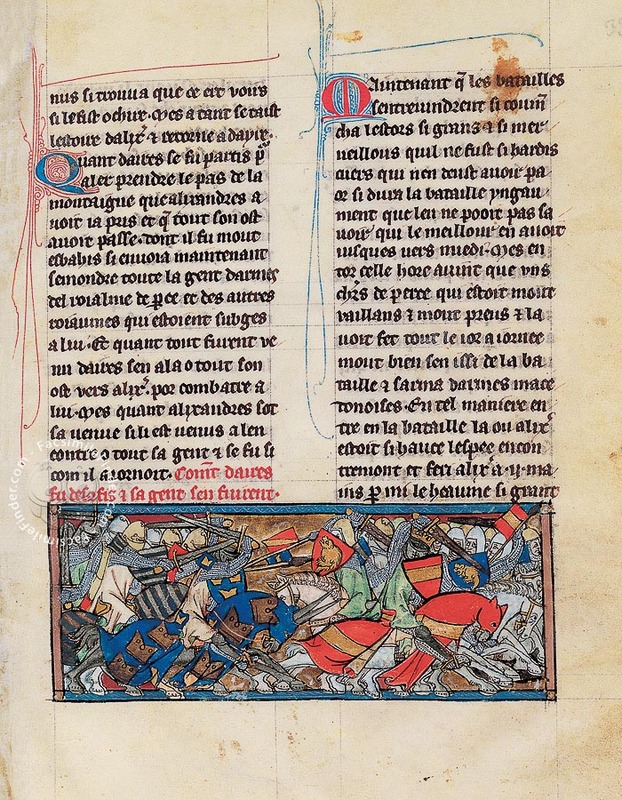 It's not clear if produced in Belgium or the Netherlands. 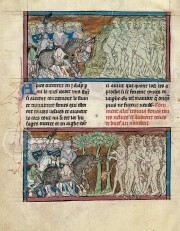 Full-size color reproduction of the entire original document, History of Alexander the Great: the facsimile attempts to replicate the look-and-feel and physical features of the original document; pages are trimmed according to the original format; the binding might not be consistent with the current document binding.